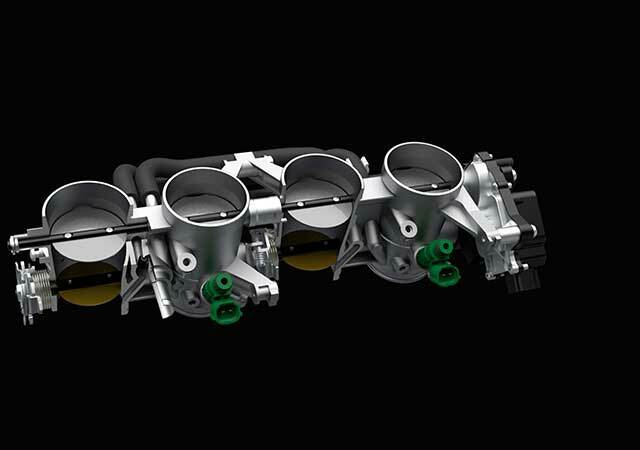 A long‑stroke design with a 73.4mm bore and a 59.0mm stroke allows the combustion chambers to be compact. It therefore allows a combination of an optimal compression ratio, a flat‑top piston shape, and a broad spread of power throughout the rev range. Advances inside the engine begin with the pistons. Suzuki used finite‑element‑analysis techniques to make the pistons light without compromising their rigidity. The benefits include broad torque and quick acceleration. 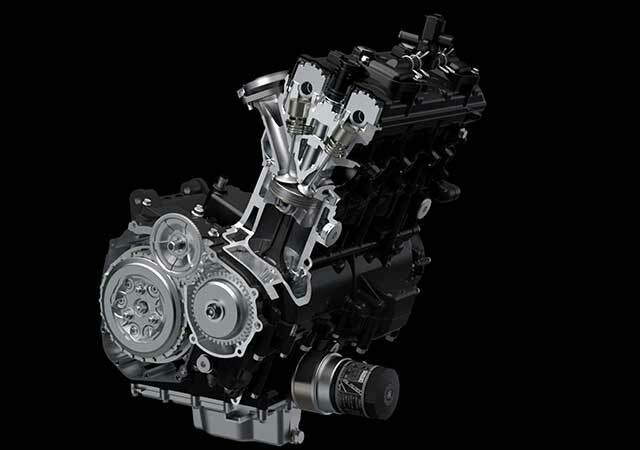 Cam profiles optimise the valve timing to achieve power characteristics that are ideally suited to city streets and twisty suburban roads. Iridium spark plugs ensure strong sparks for efficient combustion that translates into higher power, linear throttle response, easier engine start up, and stable idling. 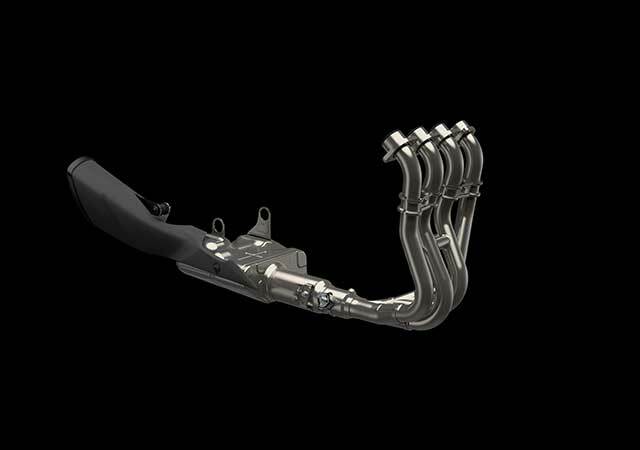 The exhaust system has a 4‑2‑1 design with equaliser pipes between the 1‑and‑4 and 2‑and‑3 header pipes. The system fine‑tunes the exhaust pulses for strong low‑to‑mid‑range output. The exhaust chamber after the joint section fits under the engine, so the muffler is minimally sized for a clean, agile look. A catalyser in the exhaust chamber keeps emissions low enough to satisfy the strict Euro 4 regulations. 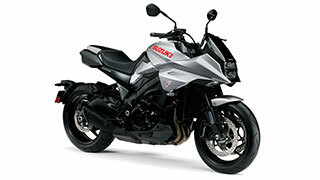 The exhaust pipe incorporates a Suzuki Exhaust Tuning (SET) system. A servo‑actuated butterfly valve opens to a degree calculated from the engine speed, throttle position, and gear position. It controls exhaust pressure waves to enhance combustion at low revs. Equipped with the Suzuki Clutch Assist System (SCAS), the clutch acts as a slipper clutch system when changing down rapidly. 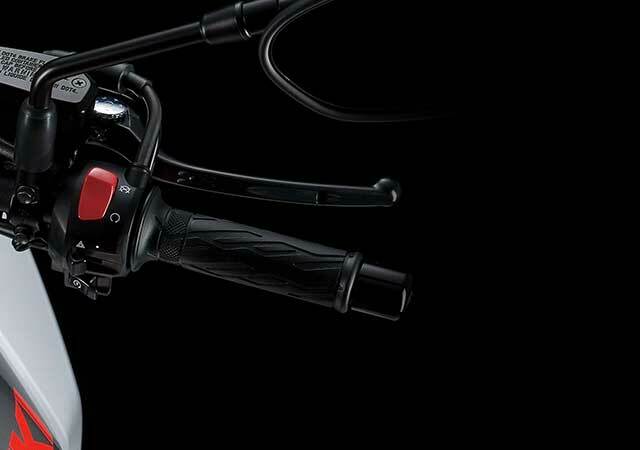 SCAS is an advanced clutch system supporting both sporty riding and less fatigue on long rides. 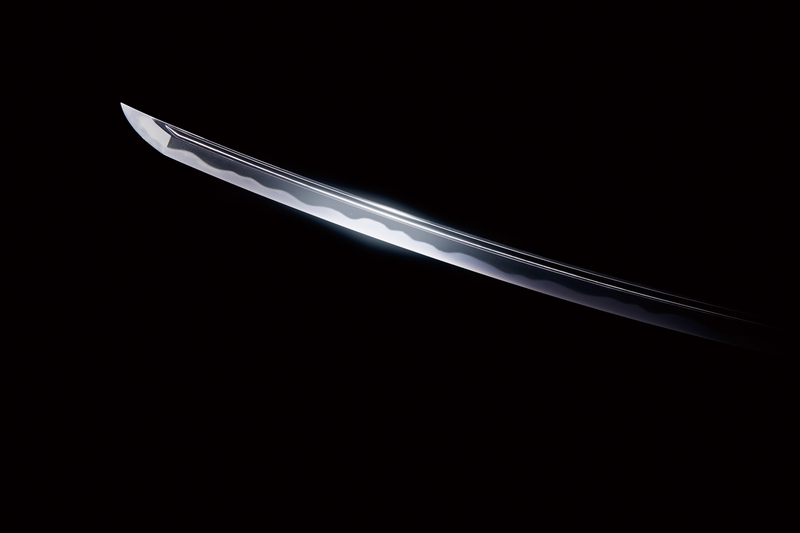 Japanese swordsmiths devote countless hours to repeatedly forge, hammer, fold the raw steel to achieve the right balance needed for the blade to perform optimally. 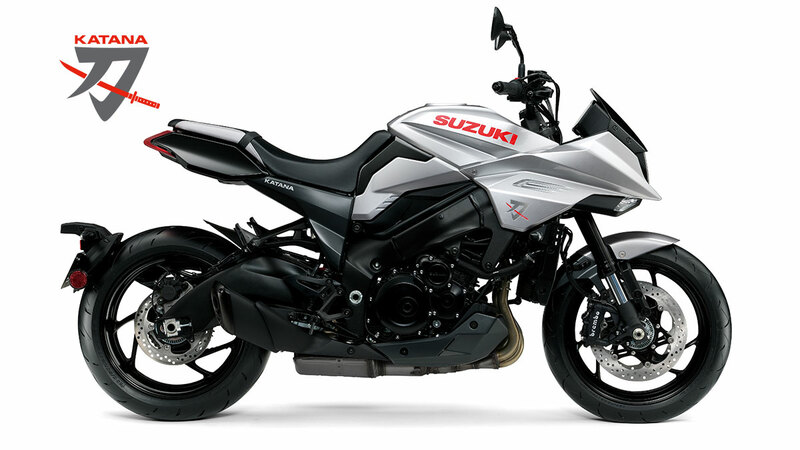 Fired by the same spirit, Suzuki’s development team tested and tuned each component to create a compact, lightweight chassis that is engineered to provide agility, ease of control and a fun-to-ride character. The twin-spar aluminium alloy frame is engineered to provide nimble handling and great road holding performance. The frame’s main tubes are designed to run straight from the steering head to the swingarm pivot. This is ideal for achieving both high rigidity and low weight. 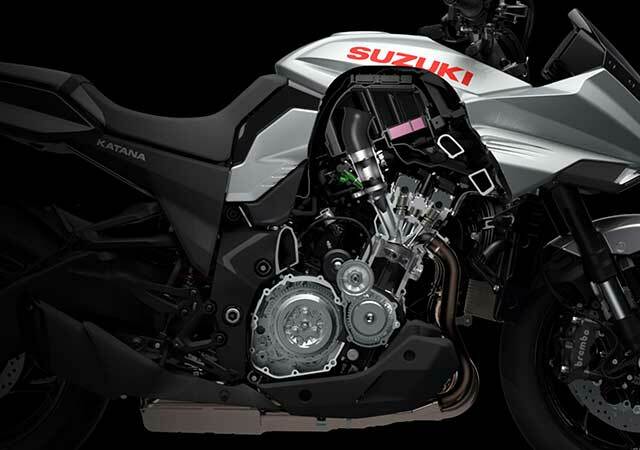 Designed using the latest FEM analysis technology, the frame weighs about the same as the current GSX-R1000. The sleek two-tone seat is comfortable, and the seat strap provides the passenger with a good grip. The seat height of 825mm provides comfort and allows riders to plant their feet on the ground when stopped. 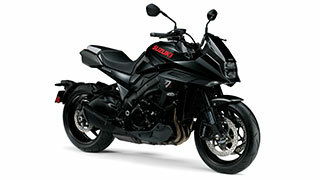 The slim design where the seat meets the fuel tank also helps make it easy for the rider’s feet to reach the ground. The Ø43mm KYB inverted front forks provide 120mm of stroke for a sporty yet plush ride. The forks feature fully adjustable damping, rebound, compression and spring pre-load. The 63mm stroke of the link-type rear suspension is tuned for a superb progressive feel and to react efficiently to road surface conditions, delivering an agile and stable feel. The rear suspension offers adjustable rebound damping and spring pre-load. Brembo radial mount monobloc front brake calipers are mated with Ø310mm floating-mount dual discs to provide powerful braking performance. Each caliper has four opposing Ø32mm pistons. The front brake calipers are same type used on the current GSX-R1000. The Antilock Brake System monitors wheel speed 50 times per wheel rotation, and matches stopping power to available traction. The ABS control unit, produced by BOSCH is compact and light weight. Suzuki’s advanced traction control system² lets the rider control the throttle with more confidence in diverse conditions; making sport riding more enjoyable and less tiring. 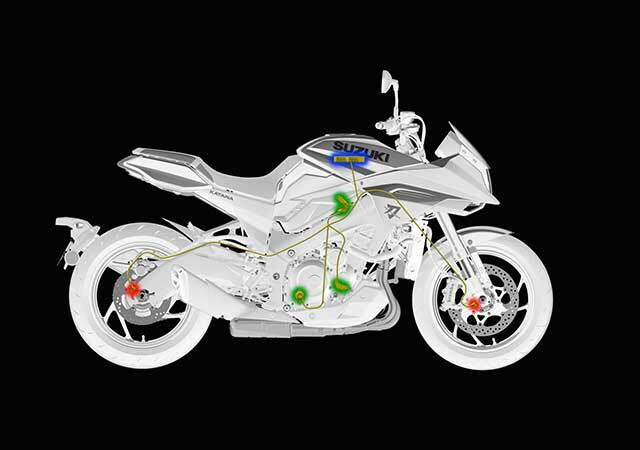 The system checks the front and rear wheel speeds, the throttle position sensor, the crank position sensor and the gear position sensor 250 times a second. It quickly reduces engine output by affecting control over the ignition timing whenever it detects wheel spin. With the Low RPM assist system, the concern of an unexpected engine stall has been relieved. This system will automatically raise the idle speed when engaging the clutch or when riding at low rpms, assisting frequent clutch work in congested town rides and preventing sudden engine stall sometimes known to happen when running large capacity twins in the low rpm range. 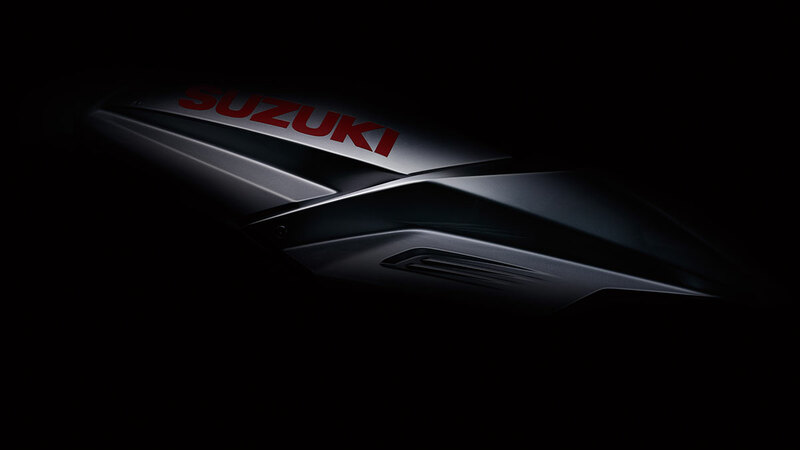 Conventional starter switches needed to be pressed by the rider until the engine starts, but the Katana has adopted the Suzuki Easy Start System enabling the engine to start with one push of the button. A computerised ECM checks the status and disengages the starter motor immediately after start.